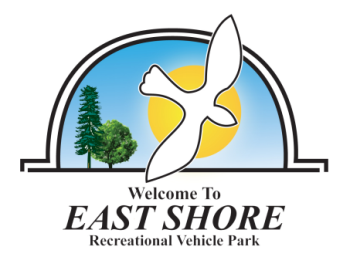 East Shore R.V. Park is located on the banks of stream fed Puddingstone lake, which is stocked with trout and bass several times a year. Bring your own boat to enjoy fishing, lake swimming, water skiing or sail boating on Puddingstone lake in Bonelli Regional County Park. Within walking distance, you will enjoy Mountain Meadows Golf Course, Raging Waters, hiking, world class mountain biking trails, several picnic areas, multiple playgrounds and much much more! Please select a Site Length that will accommodate your TOTAL LENGTH. If you have questions regarding online booking please call 909-599-8355 and one of our team members will be happy to assist you. Awesome - Awesome - Awesome. We love coming here!!! It's clean and safe and there's lots and lots to do to keep our kiddos busy and having fun - - beaches, parks, play equipment, tent camping, clean bathrooms and showers, fire pits, lakeside fishing.... it's wonderful. WiFi is only available in the store (which stocks just about everything you may want BTW) which means you are truly unplugged when you are here - which means you can relax even more than you ever thought possible - lol. Prices are reasonable and worth every.single.penny! Overall: we are totally coming back! Very nice park. Views nice. Lots of amenities we didn't get to experience as only there one night on long distance journey. Sites large with large grassy areas. Noise from small private planes... Little airport must be nearby. Staff very friendly and accommodating. Nestled in hills, definitely would like to return and spend some time..